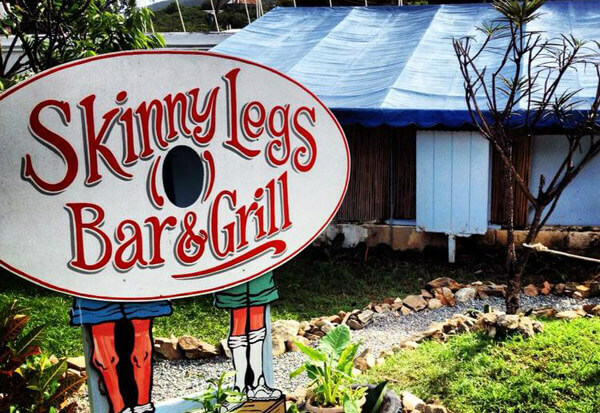 Skinny Legs is an island favorite that boasts “Same Day Service”. 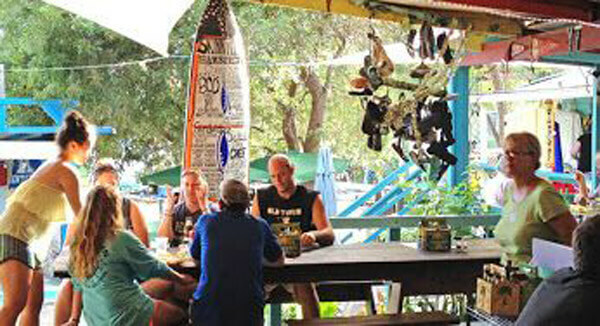 It has a casual atmosphere that attracts both locals and tourists. 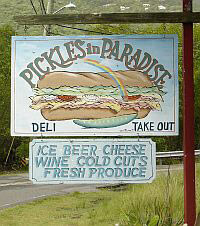 They are known for their burgers, but have an assortment of sandwiches and salads as well. They have several televisions if you need a place to watch the big game. Indigo Grill is has an eclectic menu of casual food, specialty entrees, and small plates. They also offer pizza at the bar or for takeout. You can get more information on their facebook page. 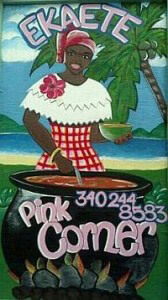 This bright pink restaurant will probably be the first thing you see when you enter Coral Bay. 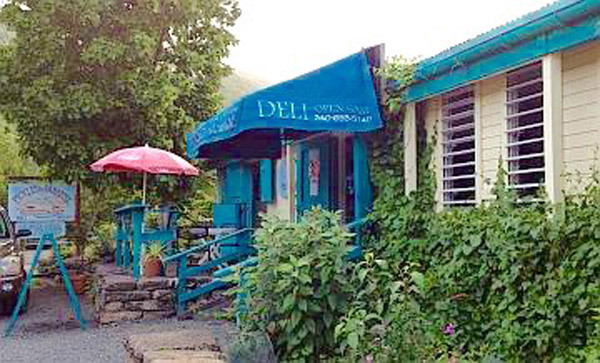 Ekaete offers traditional Caribbean fare like roti, conch fritters, and fried plantains. 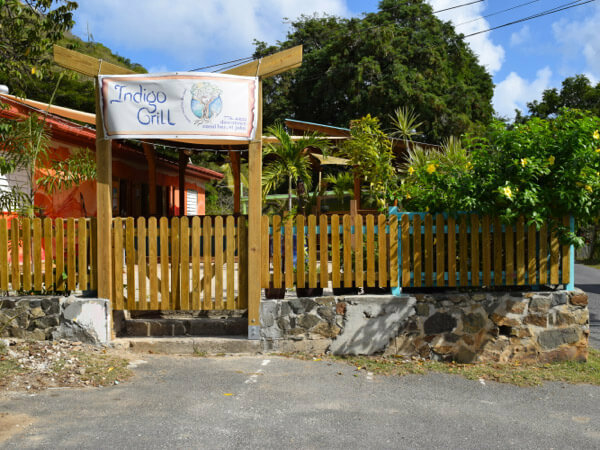 They also have smoothies and homemade ice cream in island flavors like Soursop and mango. Babes do Brunch on the Bay. 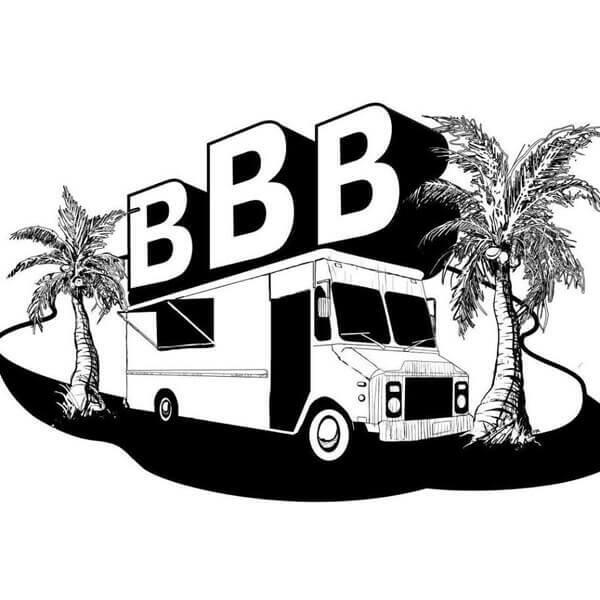 This food truck sets up in the Oasis parking lot on the weekends and cooks up some great brunch options for everyone to enjoy. Follow them on Facebook for schedule updates and specials. 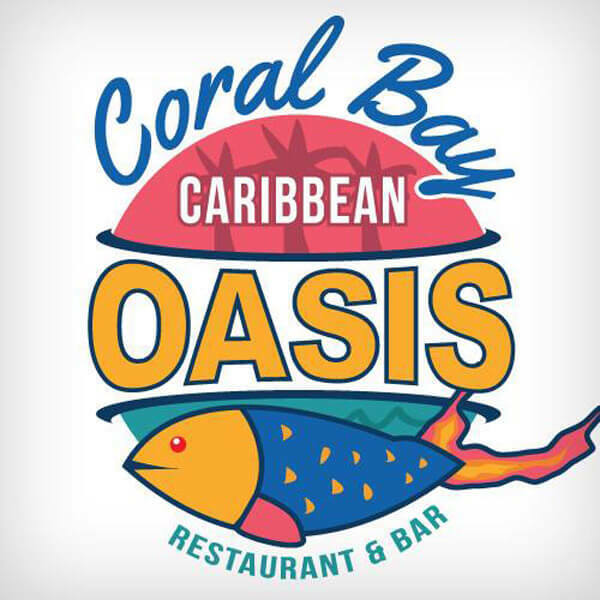 Oasis is a very casual restaurant offering delicious comfort food. 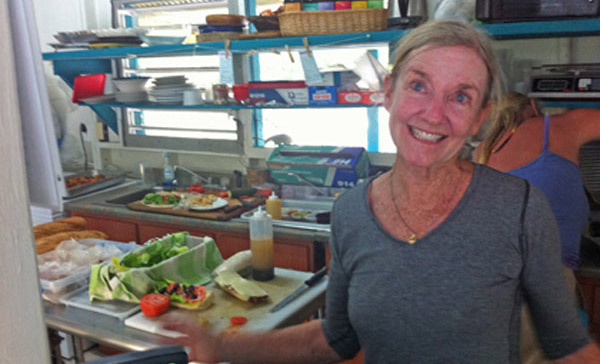 The menu changes daily, but always includes a beef or pork, chicken, fish, and vegetarian option. As well as a la carte sides like mac & cheese, collard greens, salad, baked potato, etc… They serve food until they run out, so call ahead if you see something you like! They post their menu daily on Facebook. This deli serves breakfast, lunch and dinner. 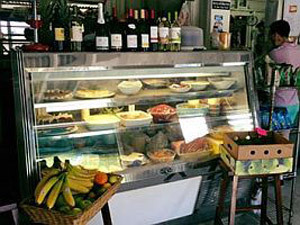 Breakfast and lunch items are typical deli fare. They can pack a picnic lunch to bring to the beach and have fabulous baked good Guest Chefs cook dinners based around theme nights (vegetarian, taco, pizza, etc.). 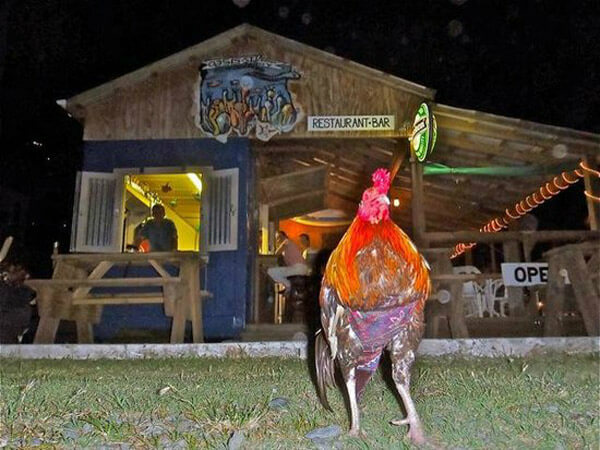 They also have a very popular open mic night once a week. 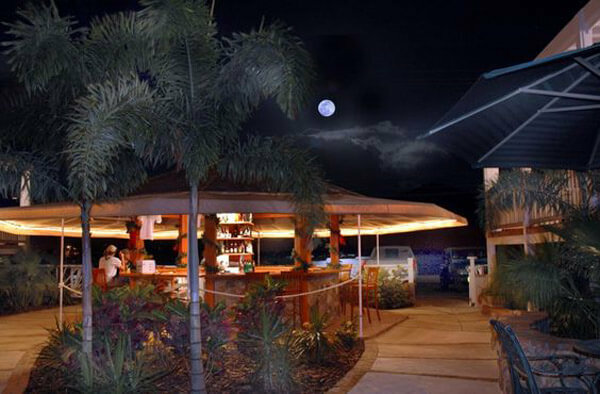 Nestled in the Coccolobo complex in the heart of Coral Bay, Aqua Bistro has great food in a casual atmosphere. 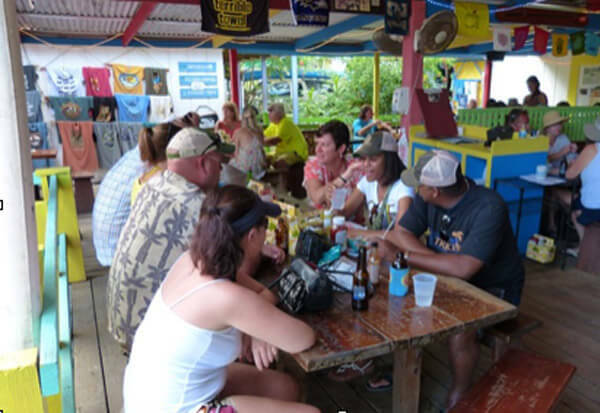 The bar area overlooks the bay and is popular with both locals and tourists. 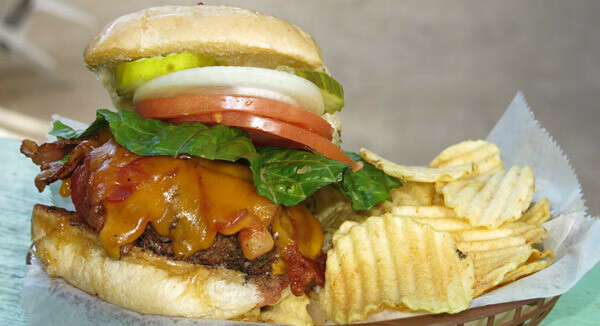 They have a large menu with bar fare like burgers, sandwiches, and wings, as well as nicer dinner entrees. Reservations are recommended during the busy season, especially on Fridays when they do their immensely popular Ponzu Tuna. 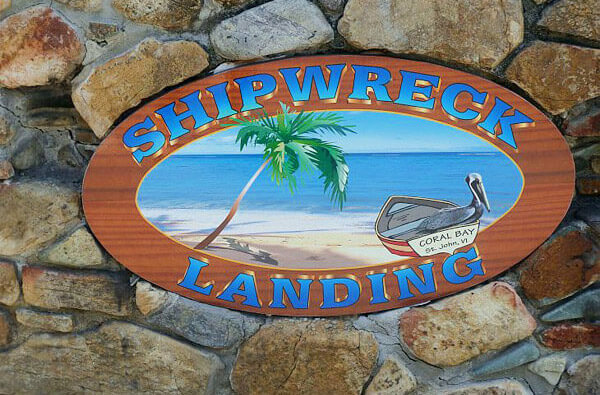 Shipwreck Landing is about a mile outside of Coral Bay and has a view of the water. 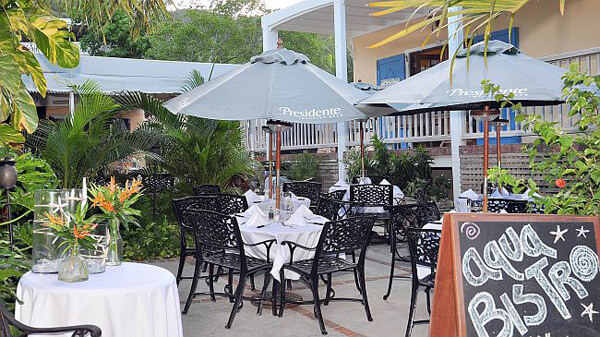 It serves up classic American dishes with a Caribbean flare. 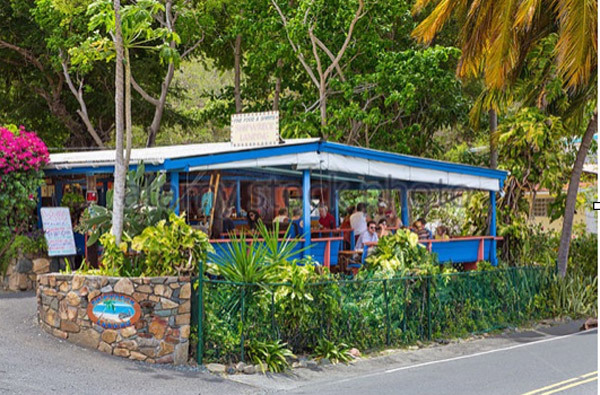 It is probably the most popular restaurant in Coral Bay. 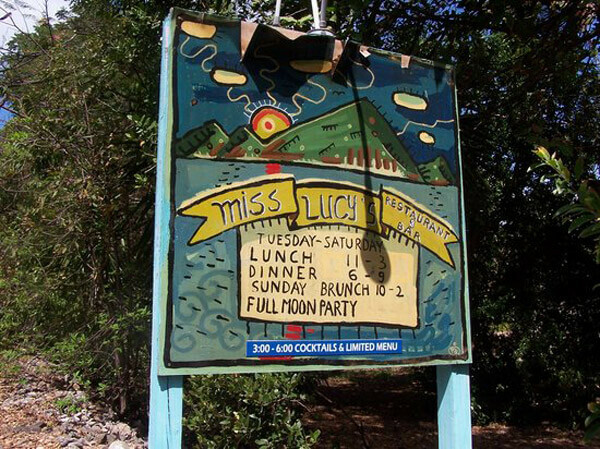 Miss Lucy’s is about halfway between Coral Bay and Salt Pond. 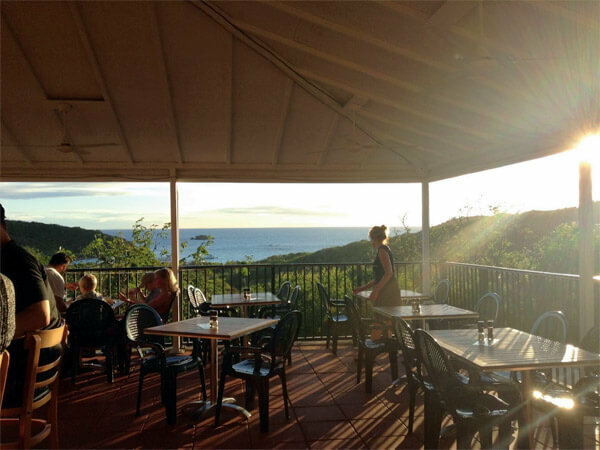 It has a nice outdoor seating area where you can enjoy the view along with your food. 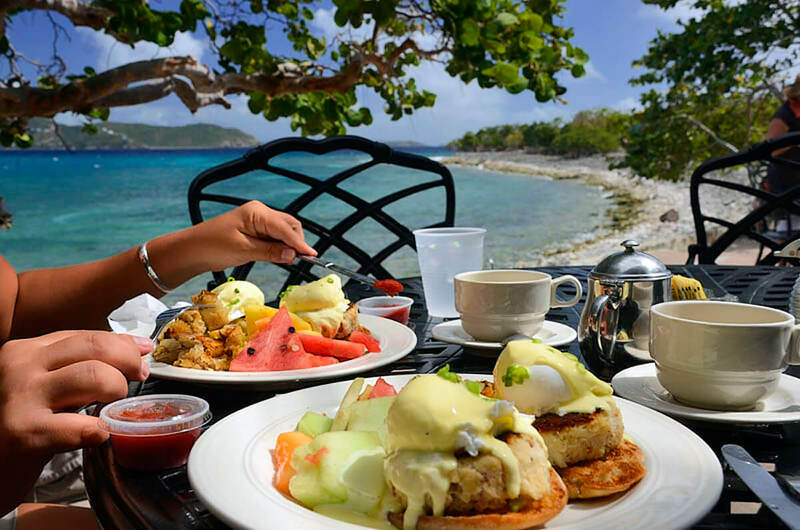 It is a great lunch and dinner spot, but they are especially known for their Sunday Brunch and Full Moon Parties. 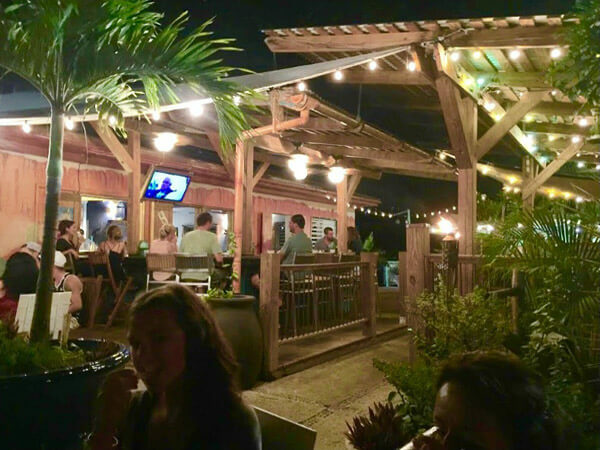 Local Tip: The wait time can be very long so go well before you are hungry with a plan to have a drink or some appetizers while you wait on your entrees. My husband and I had our wedding party here 26 years ago and it is just as beautiful now as it was then. Fabulous views looking out to Salt Pond Bay. 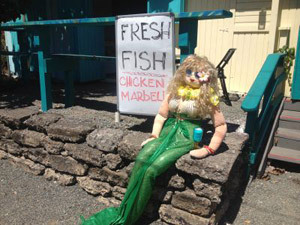 Menu varies and is limited during the summer months. The rest of the year we always find good fresh food and a vegetarian option. 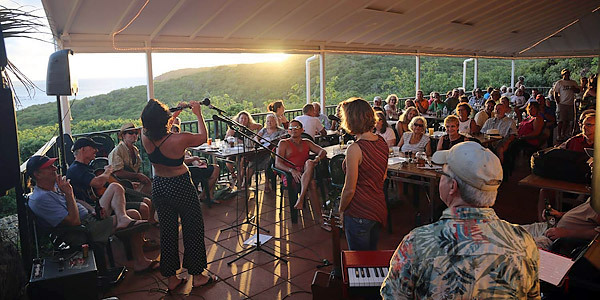 Monday open mic night brings out some great talent and a big crowd so arrive early.